Did you know that I had been working on losing some weight? I have been writing my other blog over here: I Wanna Be A Yummy Mummy for the last few months, but the journey actually started a year ago tomorrow when I was told I wouldn't be able to get any benefit from the fertility drugs I had asked for (to help me through my secondary infertility) on account of my weight. At that point I had no idea what my weight was. I was weighed at the fertility clinic and told I was 15 stone and 8 pounds, which but me at severely obese with a BMI of over 36. It was a real shock. I had never been so heavy before. As soon as I got home I signed up for Weight Watchers - which had worked for me in the past but I had never stuck with for long. I lost a lot of weight in the first couple of weeks - as you tend to - and fell pregnant quickly and naturally (how your weight can affect your fertility) resulting in our gorgeous son Freddie. All through my pregnancy I tried to follow the basic principles of Weight Watchers. I still tracked my points based on my pre-pregnancy weight, set to maintain weight and with points for breastfeeding on the basis that it would give me enough to be healthy and provide for baby while making sure I didn't gain a load of body fat. I wasn't trying to lose weight or avoid a baby-bump. It's worth saying that Weight Watchers don't endorse using their program while pregnant but I had spoken with my doctors and they were happy with what I was doing and why. Because of my weight and my history of heavy babies (heavy, not fat, none of them were fat) I am looked after by the Gestational Diabetes Clinic when I'm pregnant. They need me to eat a healthy, low fat, low sugar, low carb diet in order to manage my blood sugars so keeping with Weight Watchers fit in well with that. I needed to avoid gaining fat on myself and avoid making my baby obese before he was even born. And it worked! Freddie was 3 weeks early (nothing to do with what I was eating, everything to do with heat stroke) and weighed 9lb 6oz. He was not a fat baby. He was just big and well made, haha! No doubt a result of all the fresh fruit and veg I ate instead of chocolate and junk. He was born at the end of July and it was the beginning of September before I dared to get on the scales. But when I did I was delighted! I was 2lb lighter than the day I found out I was pregnant. And my BMI was 32 which made me Obese not Seriously Obese. It felt REALLY GOOD! So I've carried on. Hubby is trying to lose weight too. I've swapped driving locally for walking while baby wearing, I'm using the Wii Fit weekly, and I'm making sure I use my extra points while I'm breastfeeding. My first weigh in this month saw me drop from Obese to just OVERWEIGHT.... My eldest asked if I wanted to have a party to celebrate! But I said we'd wait until I reached "ideal" before I did that. What's the point of this story? It's to say that a year can make a huge difference. 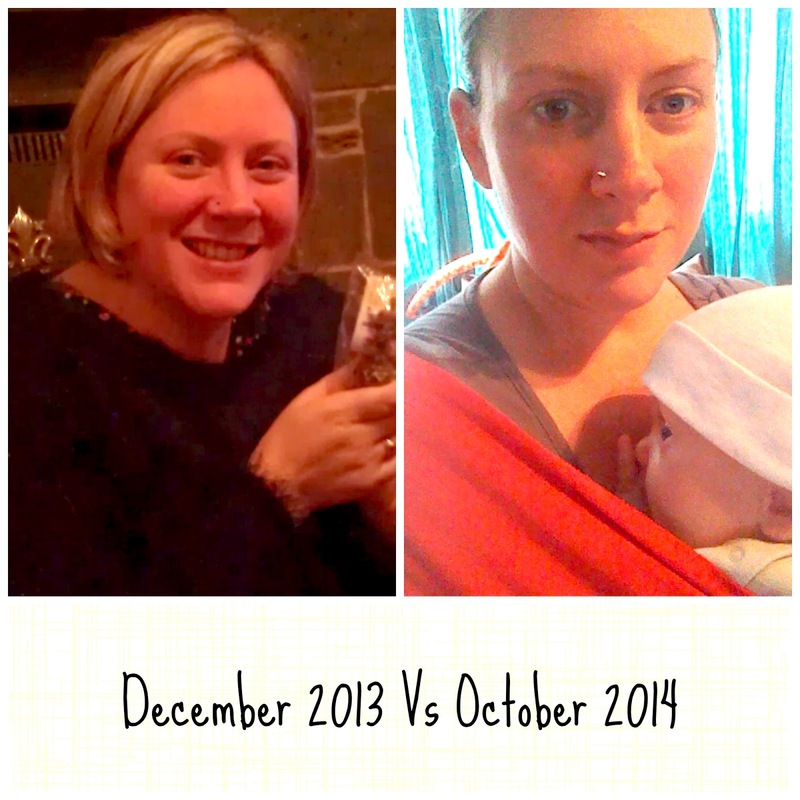 I have lost over 3 stone in a year - and got pregnant and had a baby in that time too. I was a size 20/22 this time last year. I'm rocking a size 14 in jeans now! I'm lighter, happier, healthier, and still motivated to shift these last 2 stone which will put me at "normal" or "ideal" weight (based on BMI). What can you achieve in a year? What could you start TODAY?